It might be cold comfort but pesticide use increases the risk of Multiple Myeloma (MM) too. While I didn’t work around pesticides I did work in a commercial printing plant when I was diagnosed with multiple myeloma. It’s important for you to know that while pesticide use increases your risk of being diagnosed with MGUS, this diagnosis is a blood disorder or pre-myeloma, not cancer. Hi. My name is David Emerson. I am both a long-term Multiple Myeloma survivor and MM cancer coach. MMers wonder about the origins of their myeloma. So I thought MGUS patients might want to know as well. Pesticide exposure and risk of monoclonal gammopathy of undetermined significance in the Agricultural Health Study. 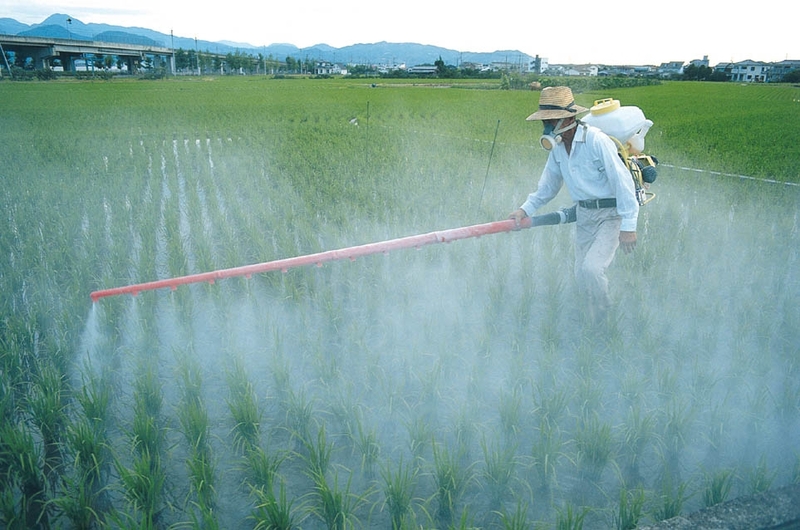 “Pesticides are associated with excess risk of multiple myeloma, albeit inconclusively. We included 678 men (30-94 years) from a well-characterized prospective cohort of restricted-use pesticide applicators to assess the risk of monoclonal gammopathy of undetermined significance (MGUS). Serum samples from all subjects were analyzed by electrophoresis performed on agarose gel; samples with a discrete or localized band were subjected to immunofixation. Age-adjusted prevalence estimates of MGUS were compared with MGUS prevalence in 9469 men from Minnesota. Associations between pesticide exposures and MGUS prevalence were assessed by logistic regression models adjusted for age and education level. Among study participants older than 50 years (n = 555), 38 were found to have MGUS, yielding a prevalence of 6.8% (95% CI, 5.0%-9.3%). Compared with men from Minnesota, the age-adjusted prevalence of MGUS was 1.9-fold (95% CI, 1.3- to 2.7-fold) higher among male pesticide applicators.